Tonight we are invited to Trung's and Ha's house for a get together. I volunteered to bring 2 appetizers: a Tuscan Mushrooms dish, a bunch of Miniature Quiche and for dessert a sunken chocolate cake with Ice Cream. 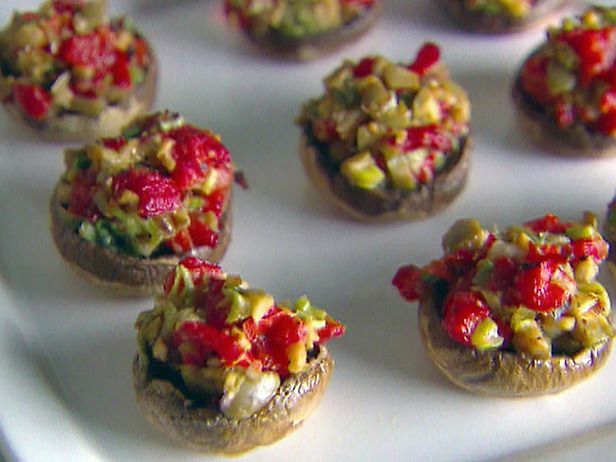 The Tuscan mushrooms appetizers is an all vegetarian dish. 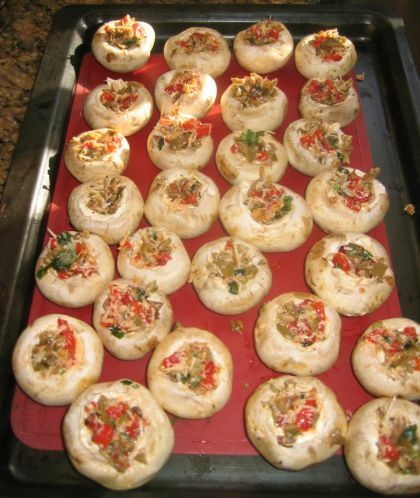 Tuscan Mushrooms dish is a great alternative to the stuff mushrooms that can be somewhat bland. 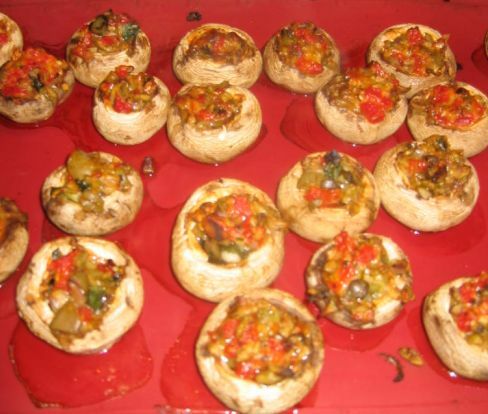 The Tuscan mushroom has a robust flavor which are enhanced by the roasted red peppers and olives. The Tuscan Mushrooms are also very festive to look at! 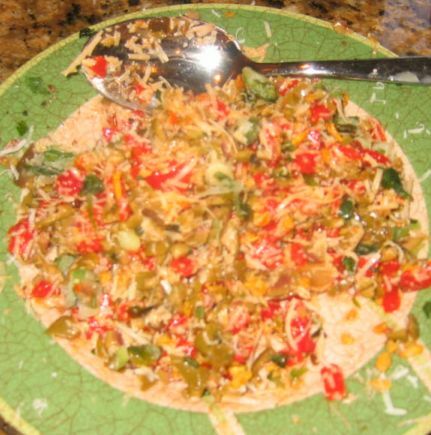 They green and red are perfect for a Christmas/Holidays party. 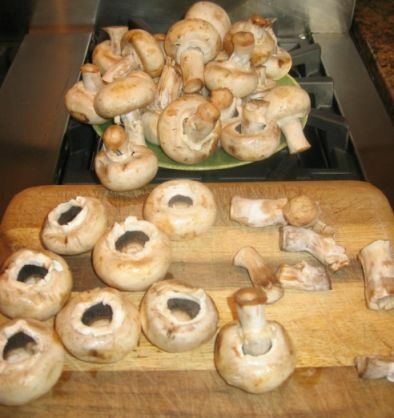 Cleaned and stemmed white button mushrooms. 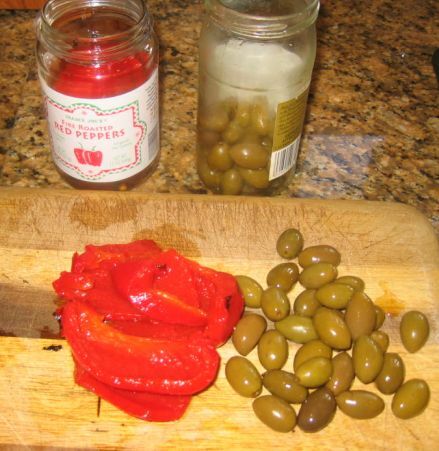 Ready to chop the roasted red bell peppers and olives.. The mushrooms are placed cavity side up. 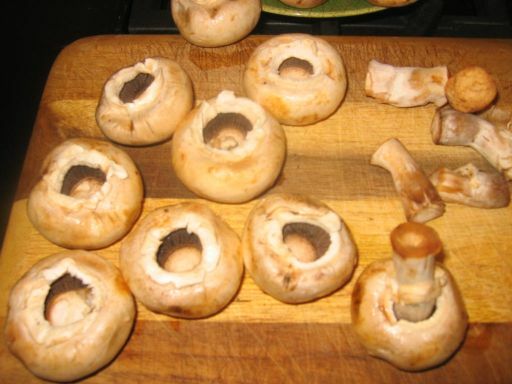 Next, the the filling is spooned into the cavity of the mushrooms and bake until the mushrooms are tender, about 20 minutes.